Hacking your SaaS growth? There are lots of successful models & strategies to fall back on. But every business is different. What works at one company, won’t automatically work at another. So, how to find your winning formula? It’s important to constantly measure what you are doing & how it affects your business. Probably, you already have your own stack of dashboards to do so. In any case, with a solid view on your processes & performance, you’ll be able to make much better decisions while scaling your SaaS. Whether it’s on a sales, marketing or product level. In this Dashboard 101, we won’t discuss the basics of building dashboards, or a list of KPIs to track. Rather, we’d like to offer a framework, full of smart dashboarding hacks. It will help you to build SaaS dashboards that are more than just ‘reporting’. Create no-BS dashboards that drive action in your team, without much further ado. Your customers have different needs in every stage of the customer journey. Unfortunately, that means that users can get stuck or drop out of the funnel at many stages. 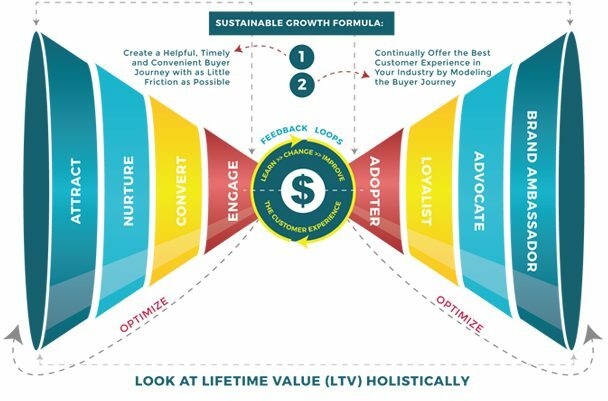 While ideally, you want them to advance all the way to the deeper end of the funnel. What if we told you it’s possible to ‘hack’ the funnel, with the right dashboards? Simple? I know, then we would all be billionaires right now. But really, think about it. You probably have most of this data available at your company: traffic volumes, conversion rates per funnel stage, deal size,… If you combine this with qualitative data like traffic sources, reasons of refusal, customer demographics,… you’ll be able to understand why things are happening, and what you can do about it. What are the main KPIs in this phase? Which factors have an influence on these KPIs? Which factors influence the customer’s progress to the next phase? Which process, action, or variable has a positive effect on conversion? Which process, action, or variable has a negative effect on conversion? As an example, let’s say you want to start by optimizing the attraction phase. Let’s have a look at an example dashboard below. In the blink of an eye, you’ve learned that you’re driving a lot of traffic to your website, but only 7% moves to the nurture phase. While you’re investing almost half of your budget in Facebook, LinkedIn has a much higher conversion rate to the nurture phase. Shifting your budget from Facebook to LinkedIn will have a huge impact on your conversion rate from attraction to nurture. As mentioned, I won’t share an endless list of metrics to track, since there are enough articles on that. We believe that this is different for every company. So simply rely on your own judgement, because you are the expert when it comes to your business. What I do want to share, are 2 tips which can be relevant to any SaaS company. You can literally track & measure everything. And that makes it hard to separate insights from clutter. So, it’s important to realize that not every single metric matters to your company. 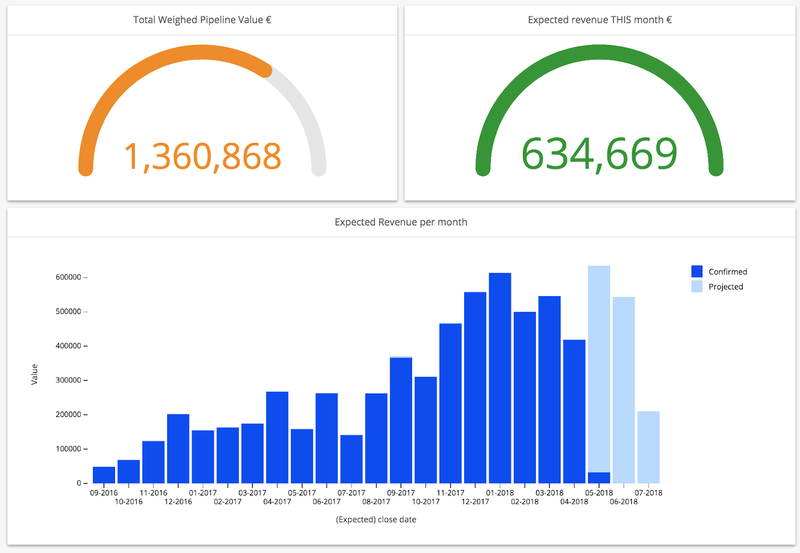 Your dashboards will be much more useful if you only include your most important metrics. In that way, you can guarantee not to get lost in the data. A good rule of thumb is to focus on 3 to 4 main KPIs per dashboard. Adding trends and influential factors to the dashboard is fine, as long as it all relates to the same set of metrics. Regarding the number of dashboards, it really depends from business to business. 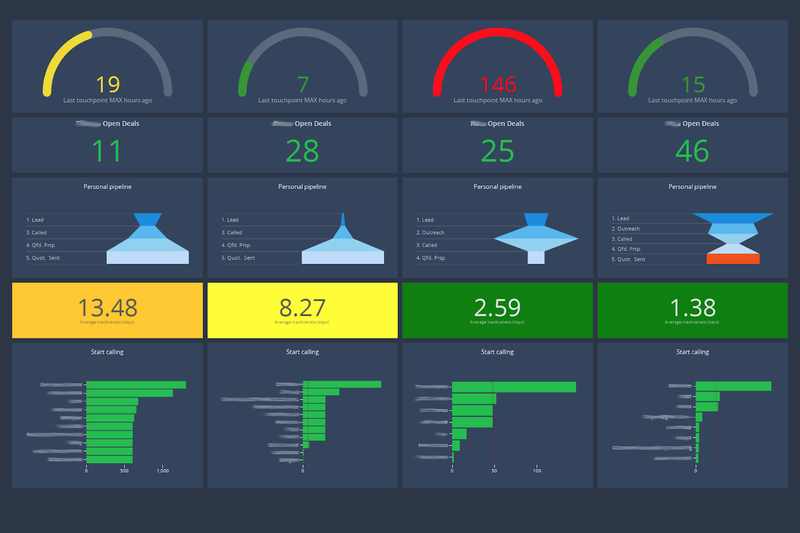 What works well for us, is to give individual teams ownership of their own dashboards. Usually, our teams have 1 strategic dashboard as their main source of information. In addition, they add 3 to 5 dashboards that go more into detail on specific items that are important in their field of business. With different dashboard types, you can always keep the global overview in 1 strategic dashboard, and get a more detailed view when needed. Once you have the answer, you’ll need to turn this into a quantifiable metric. For example, for Netflix this could be “# subscribers who watched more than X hours of content”. For AirBnb, it could be “# appartments rented”. A North Star Metric is most powerful when it quantifies both your business objectives and the value you bring to your customers. Bonus tip: display your North Star Metric and it’s evolution on a single dashboard, and display it all across the office. Your employees will feel much more involved, and it helps you to build a truly data-driven culture at the office. In a fast-paced SaaS business, you don’t want to create reports just for the fun of it. Gaining insights from your dashboards is a smart move. But if it doesn’t lead to action, then why bother? Being a SaaS company ourselves, this something we learned along the way. 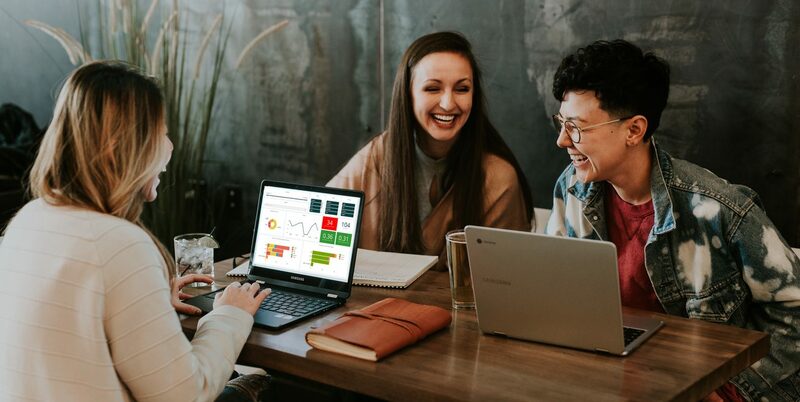 When we started modifying our dashboards to be more action-driven, we noticed a much higher engagement of our employees to act directly on the numbers they saw in the dashboards. How to make your dashboards actionable? It shows a clear drop in engagement of new leads who are trying out your platform. What’s less clear however, is who will take action on this, and how. If the actions are clearly defined afterwards – for example in a weekly meeting – that will work fine too. But the chart in itself doesn’t encourage an action directly. Compare the example above to the following ‘calling dashboard’. When someone tries your SaaS platform, they are attributed to a salesperson, who should contact the lead within 48 hours. 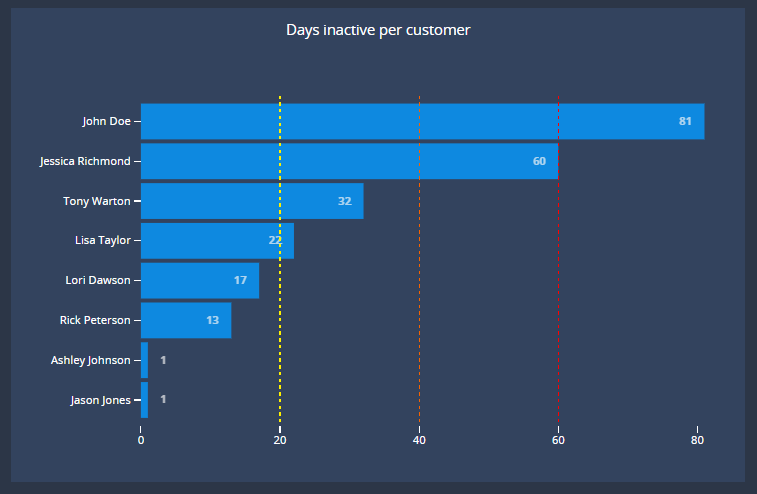 In the dashboard, it shows for each salesperson how many hours a new lead has been ‘open’. If you pop up in red, it’s directly clear what you need to do: start calling. These kind of actionable charts really help you to do the right things while scaling your company. By simply looking at the dashboards on a daily basis, your teams or colleagues will know which important actions they need to take at every moment. No need to book meetings, or to convince them what they should do and why. Start building great SaaS dashboards! So now it’s time to put theory into practice! If you’re getting started, this guide should make a good starting point. Otherwise, it might be a refreshing view on how to approach your SaaS dashboards. 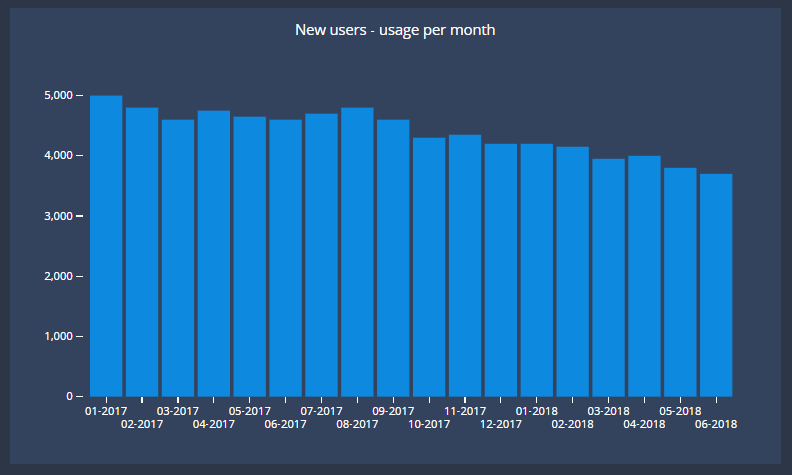 If you are looking for a new analytics tool, you can always explore the Cumul.io platform for free during a 10-day trial. Build dashboards to track your SaaS’ growth, or even offer value-adding insights to your customers through our dashboard integration.